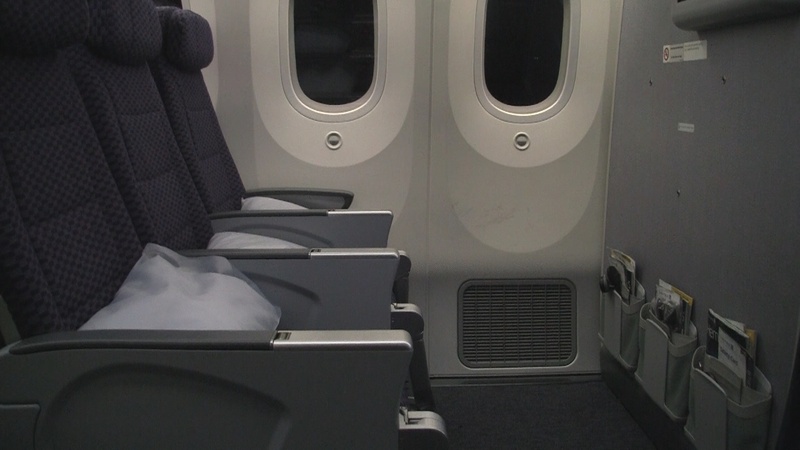 Seat(s): Row 16 aboard this United Dreamliner 787-9 appears identical to it’s sister row aboard the 787-8. Comparing SeatGuru maps of the 2, this row on the -9 version gets a lower rating than the -8 presumably because of the bassinnet position. Confusing because bassinetts are available in this row on both. (Insert adorable crying baby). Knee space and 2 huge windows are the big draws on the window sides of bulkhead row 16. If you’re willing to risk your long-haul sanity for extra legroom these arent bad seats. Full stretch might be easier in an Economy Plus seat further back but the added bonus of extra knee and head space gives all seats in row 16 an edge. Add to it that there’s no restroom in front of you (as there are in bulkhead row 27) means congregating is unlikely and the space isn’t large enough for it to serve as a passageway from one aisle to the other like we found on a recent modhop in Cathay Pacific Premium Economy. There’s a perk in seats 16D and 16E (also 27 D/E) that no other seat in this row has…a moveable armrest. That makes it the perfect spot for knee-space loving couples to get close. 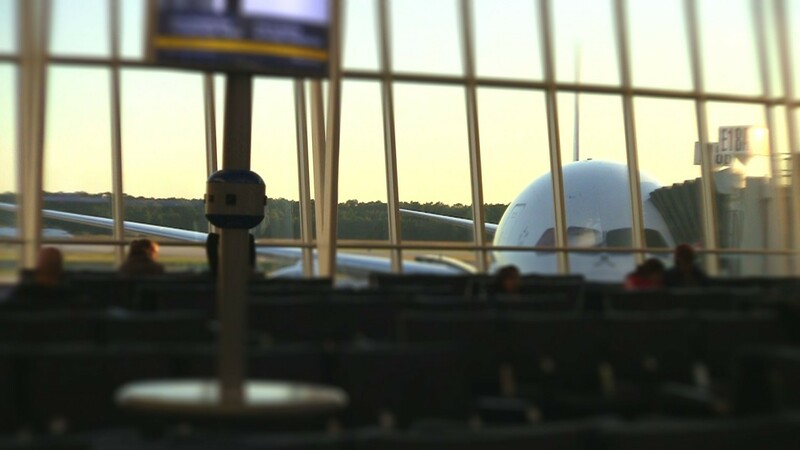 Tech/Connectivity/Entertainment: There’s at least a little bit of everything here when it comes to modern in-flight tech and entertainment. From personal TV’s to global internet access you’ve got boredom killers everywhere. Your TV folds up from the armrest and is packed with Movies, TV shows and specialty programming. On this short domestic flight there wasn’t much time for our own personal film-fest but we found a few movies that we’d watch on a longer flight. The simple touchscreen interface made it easy to navigate between titles and features like the moving map. Where most rows are sharing 2 power outlets, at least the center section in row 16 has each seat is set up with it’s own. You’ll have to lean forward and find them around your feet but you wont be reaching into your neighbors personal space to charge your phone. Wi-Fi! Except in airspace where it’s not allowed (stares at “the China“) satellite delivered wi-fi is available for purchase. Speeds were fine for most surfing activity but still not good enough for lenghty video streaming. Our quick upgrade reviews worked fine on this flight so shorter videos might work if fewer people are eating up bandwidth. Ain’t no party like an ancillary revenue party! 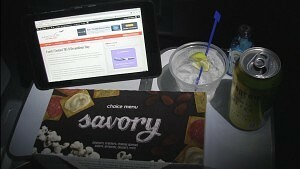 Economy Plus seat, Cocktail, Snack Box & Web Access. You’re welcome United. Food: Untited escapes the normal food bashing this time. First of all, my snack box isn’t normal fare for the flights these planes fly. Second, this one was unusually well balanced. The savory box is a processed food smorgasbord with crackers, packaged meat, cheese, low-cal but tasty popcorn, almonds and an after snack mint. Service: Service was fine. 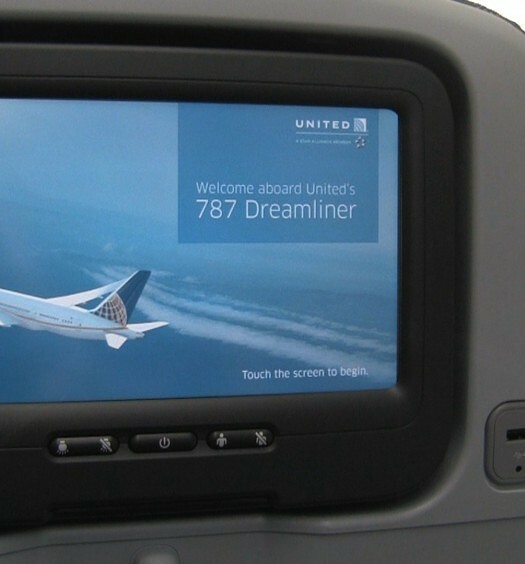 If you’ve read our past reviews you know that “fine” is an upgrade in United’s “friendly” skies. On-board service seemed to get a bit of a late start but might just be that the crew was still getting to know the plane. The single gate agent assigned to this flight in Houston was hero-like, coordinating an unusually large crowd for a late day domestic hop. There were backups at the gate and later in jetway while the cleaning crew finished up. It seems they were expecting something smaller. How we got em’: A simple one-way saver award got us the flight using Mileage Plus miles. 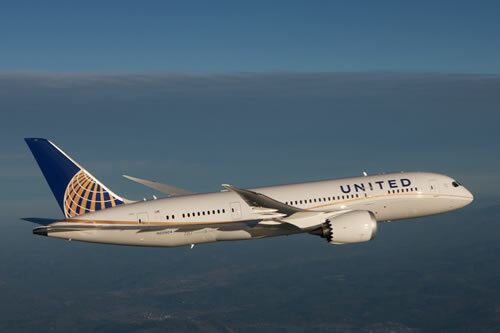 The upgrade to a United Economy Plus seat will be extra unless you’re among the United elite. They have Ch9 on the AVOD?